Kenny was born to a breeder in Bentonville, Arkansas on February 3,1999. As a result of inbreeding, Kenny has mental retardation and significant physical limitations. Due to his deep-set nose, he has difficulty breathing and closing his jaw, his teeth are severely malformed and he limps from abnormal bone structure in his forearms. In the U.S., all living white tigers are the result of selective inbreeding in captivity to artificially create the genetic conditions that lead to white fur, ice-blue eyes and a pink nose. Currently, inbreeding such as father to daughter, brother to sister, mother to son has become commonplace. Conservation experts challenge the perception that white tigers are a rare and endangered species. 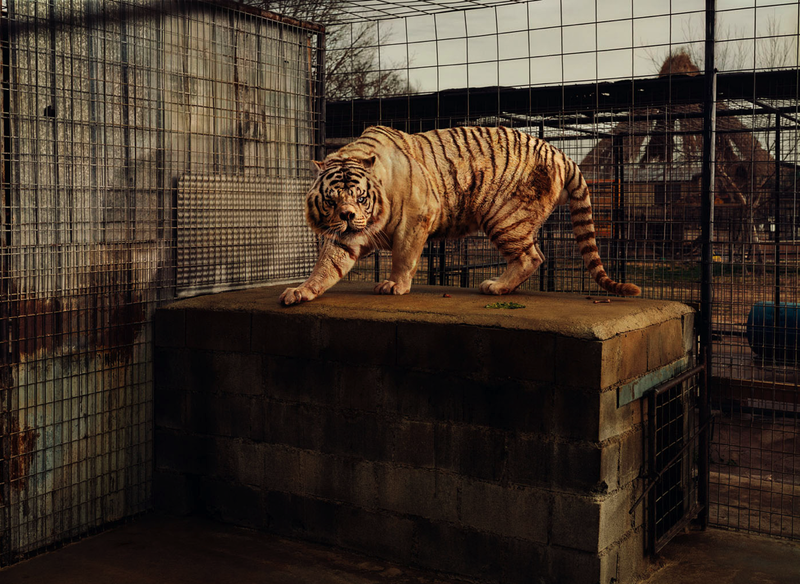 Instead, they state that zoos, breeders, and entertainment acts have over-bred white tigers for financial gain, citing instances where private breeders and zoos have sold “quality” white tigers for over $60,000. The grave health consequences of inbreeding and over-breeding have led to abortions, stillbirths and a high mortality rate among infants. The Species Survival Plan has condemned the practice. In recent years there has been a significant drop in their market value. Filed Under: Inspirational Photography, Video Inspiration, Written. Notes. Stories.